What is the need for organ transplantation? There are many diseases that affect various organs in human body (kidneys,heart,liver,lungs,pancreas and so on) ; often these diseases lead on to permanent and near complete loss of function the organ concerned , and this stage is referred to as End stage organ failure.When this happens to a patient, he cannot survive without a treatment modality that replaces the function of that particular organ. The function of the organ can be done by an artificial organ in case of kidney failure (a procedure known as dialysis) , or the patient has to undergo an organ transplantation surgery. Unfortunately, artificial organ support is not available for patients who have end stage organ failure involving organs other than the kidney ; hence they have no choice but to undergo transplantation to sustain their lives ; if they do not undergo transplantation, they just have to wait for the inevitable end . It has been estimated that globally 80 out of a million people would need an organ transplantation. It has been estimated that every year about 150,000 new patients are diagnosed to have end stage kidney failure in our country. About a third of them are medically fit to undergo kidney transplantation. However about 5000 kidney transplants are done in India every year. A few of the remaining unfortunate human beings survive on dialysis, and the vast majority die because they do not have organs available for donation. The quality of life of patients after kidney transplantation is excellent, compared to patients on maintenance dialysis; the overall total cost of treatment would also be less for patients who undergo transplantation than patients on long term dialysis. Patients who undergo transplant surgery live longer than those who remain on dialysis. There are several thousands of patients who develop end stage liver disease and end stage heart disease in India every year. ; less than 1000 liver transplants and less than 50 heart transplants are done in an year. The remaining poor souls just die, because they are not able to get an organ for transplantation. What are the sources of organs for transplantation? Obviously. the organs for transplantation need to be obtained from human beings , either during life, or after death. In case of kidneys which are paired organs, donating a kidney during life is possible, as one kidney is adequate for a comfortable and normal life. Liver can also be split and a portion can then be transplanted. However, when the organ is single (heart or pancreas) or the body needs both the organs during life (lungs), donation during life is not possible ; in these cases these organs can be donated only after death. The original concept of death has undergone a change over the last few decades. It is well established that it is the human brain is the organ that makes us what we are . Thus, if the brain is dead, the person is dead, even though the heart is continuing to beat. When the heart is beating, the kidneys produce urine, liver produces bile , pancreas continues to secrete Insulin and enzymes and other organs would continue their functions. However, the heart would definitely stop beating a few hours after the brain death and then all the organs would stop working for ever. A person who has suffered brain death would never ever come back to life; he is really dead except that the heart would continue to beat for a few hours more. This fact about brain death was realized in early 1960s ; in western countries brain death certification was legalized and retrieval of organs from brain dead donors was approved. 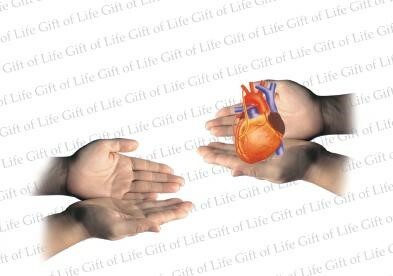 In India, the Transplantation of Human Organs Act (THOA) was passed in 1994 ; Government of Kerala adopted the bill in 1996. The Act defines that the organ donors can be either living donors or deceased donors. The criteria for declaration of brain death have been clearly defined in the Act. A team of four doctors have to examine the donor using well defined medical criteria ; one of the four doctors has to be a Neurologist or a Neurosurgeon ; this process has to be repeated after a minimum interval of six hours . Once brain death has been declared, the next of kin of the donor has to give the consent before organs are harvested from the donor. Thus, it is legal to declare brain death and retrieve organs from brain dead persons in Kerala from the year 1996. THOA defines living donors as near relatives (parents, siblings, off springs and grandparents) and altruistic donors . Buying and selling of organs are prohibited under the Act and this is a criminal offense punishable with imprisonment and fine. What are the causes of brain death? Majority of brain deaths occur due to head injury following road traffic accidents or stroke. The person would have sustained a brain injury and developed brain death; the other organs are likely to be normal and functioning well. The state of Kerala has about 4000 road traffic accidents in an year. Of these, about 40 to 50% have sustained brain death. If these organs can be retrieved and used for the purpose of saving lives of patients with organ failures, several hundreds of these patients can be given a second lease of life. At present we are just burning or burying these valuable organs , which have the potential to give a second life to many unfortunate human beings who have organ failures. What is the status of deceased donor organ donation in our country? Of all the nations, Spain with about 40 million population leads the list when we look at the deceased donor organ donation rate ; in Spain the organ donation rate is over 35 per million population ; the rate is over 26 in UK and USA . The deceased donor organ donation rate in India with over 1.2 billion people, is about 0.05 per million population. If we are able to increase this to 1 per million, we would be able to meet the current demand; if this rate is increased to 2 per million (2 out of a million people in India) , living donor kidney transplantation can be stopped in our country. This clearly shows the great potential that our country has in terms of numbers. Among the states in India, Tamil Nadu had the highest organ donation rate ( 1.15 per million), Kerala has 0.36 , Karnataka 0.28 , Andhra 0.15, Maharashtra 0.26, Gujarat 0.30 and Delhi 0.29 per million population. Recent records show that the organ donation rates in Kerala has surpassed that of Tamil Nadu to 1.4 per million. This is due to concerted effort of the government, media, public and the various stake holders. However it is very evident that we have a long way to go in order to achieve our goal. What has Kerala achieved so far in the area of deceased donor organ donation ? In 2000, a registered voluntary humanitarian organization by name Society for Organ Retrieval and Transplantation (SORT – Cochin) was formed in the city of Kochi by a group of eminent people from different walks of life ; the objective of this non governmental organisation was to create awareness in the community about organ donation and to coordinate deceased donor organ transplantation amongst the hospitals in Kochi (www.sortcochin.org) The efforts of this society bore fruit when the first deceased donor multi organ transplantation was done in 2004 in Kochi under the supervision of SORT. Subsequently multi organ retrieval and transplantations have been done in many hospitals in Kochi. This society was instrumental in organizing 22 kidneys, and 15 liver transplantations from 15 cadavers , until the government started its initiative to carry this programme forward in the state of Kerala . In 2012, the Kerala Network of Organ Sharing (KNOS) was formed under the supervision of Govt. of Kerala and it was named “Mrithasanjeevani”. KNOS registers patients who need organ transplantation , registers hospitals which have been licensed for transplantation and allocates organs to patients in different government and private hospitals in the state. The Nodal officer and coordinator of KNOS are in Trivandrum . The transplant coordinators of the different hospitals communicate with the coordinator at Trivandrum and the programme is organized. There are over 890 recipients registered with KNOS for organ allocation. Till date, there have been 218 cadaver (deceased donors) donors from whom organs have been retrieved. Until now, over 376 kidneys, 168 livers , 36 hearts, 4 pancreas and 2 small intestine have been transplanted after KNOS came into existence three years back. No person should die for want of an organ. Every one of us, should make a decision to donate our organs, if we are unfortunate to have a brain death. Our country with a large population and numerous road traffic accidents should aim at maximizing deceased donor organ transplantation, so that there would be no need for living donor transplantation. This would bring down the illegal organ trade . This is the way forward for us to help our fellow human beings who suffer from end stage organ failure. Let us take a resolve to give these unfortunate victims of organ failure a new lease of life. On this day, which is being celebrated as the Organ Donation Day ( 13 August), let us take a pledge to donate our organs after our death to the suffering fellow human beings who have a miserable life because of end stage organ failure. Let us not burn or bury our organs, for God knows that they are needed on earth ! If death is not brain death, suppose death is due to heart attack, in such case whether organ donation is possible ?